DeLanzo Chiropractic Center offers our patient form(s) online so they can be completed it in the convenience of your own home or office. 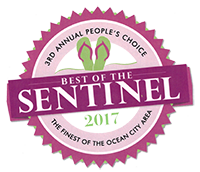 Located in the heart of Ocean City, the leading health professionals at DeLanzo Chiropractic Center are dedicated to helping you achieve your wellness objectives -- combining skill and expertise that spans the entire chiropractic wellness spectrum. Dr. Ronald DeLanzo is committed to bringing you better health and a better way of life by teaching and practicing the true principles of chiropractic wellness care. Patients seeking treatment at DeLanzo Chiropractic Center with Dr. Ronald DeLanzo are assured of receiving only the finest quality care through the use of modern chiropractic equipment and technology. Dr. Ronald DeLanzo and the staff have a genuine concern for your well-being! There is a high demand for his understanding of the human body. Professional athletes from the Philadelphia Eagles, New York Giants and Detroit Lions have sought his care. 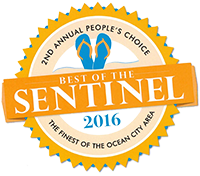 For the past 3 years, DeLanzo Chiropractic Center has been voted "Best Chiropractor" by Sentinel readers. Dr. Ronald DeLanzo has been a licensed Chiropractor since February 2005. 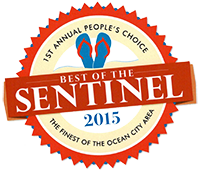 Dr. Ronald DeLanzo has been freeing people from pain since February 2005 in his clinic in Ocean City, NJ. As a Chiropractor with experience, our professionals are committed to promoting the health and well being of his patients. "It hard to believe that you can walk into a place feeling so bad and walk out feeling great...unlike a regular doctor that will hand you a Rx for pain meds. Love this place. Highly recommend!" "He is the best and I have been to a lot of chiropractors in my lifetime!" "Dr. Ron Delanzo is the man! He has the knowledge and all the right tools to relieve your pain or perform any chiropractic and overall wellness needs. I highly recommend him!!"